For the foreseeable future, we will maintain the zentangle.blogspot.com site as an archival Zentangle resource because of the wealth of information and inspiration there. In honor of this switch, we want to know which of the posts on BLOG Zentangle have been your favorite (and why!). Head on over the zentangle.com/blogs/blog and tell us in the comments there. 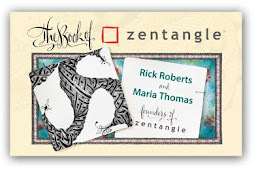 We will pick a commenter at random to receive some Zentangle goodies!